A couple of months ago I delivered a speech in my Prestigious Speakers Toasmasters club in Barcelona where the core message was "every time you fall, get up, shake the dust and keep walking." Recently I had to face a big new challenge in my life. 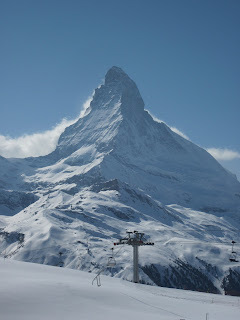 Something that I had never planned before moving to Switzerland, honestly. I was "kindly asked" by my partner (who is an excellent skier) to learn to ski. He loves it so much that he wanted to share that joy with me. For that, I would have to learn how to do it. I was a bit sceptical.... Being a Brazilian, my closest relationship with ice was an ice-cream. Running down slopes was never part of any plan in my life. 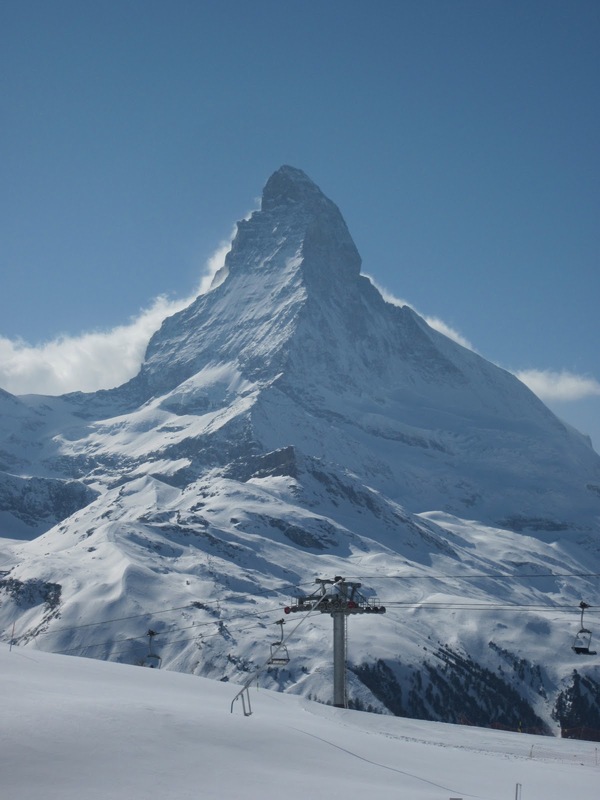 But there I was, in the beautiful Zermatt, facing the 4, 478 metres (14,690ft) high, gigantic Matterhorn, thinking, "What the hell am I doing here?" However, at this stage in life I have learned to take new challenges as opportunities. Opportunities to open new doors, to see new worlds, to discover new talents within myself. And with that mind-set, I took my first class. Wow, it was fun! I realised that breaking a bone was not that easy. So, the first fear was conquered. Now, I had to practice. And so I did. I practiced over 3 hours each day, non-stop. I have to say that I was impressed with my own self-determination. After 8 days, my big day arrived: I was finally going down a slope. The pure air coming into my lungs, the absolutely amazing landscape, and the sense of freedom was such a powerful experience that I wanted it more and more, and each day I was aiming to overcome another little step, practising, polishing, and doing it over and over again. When I was on my teens someone once told me: "The higher you go, the hardest and painful is the fall..." Not a motivational advice I might say. Thank God, somehow, I never followed it. These past two weeks, being there, at the top of the world, looking at Matterhorn, such statement came to my mind and made me laugh. Taking the ski experience as an analogy to that statement, if I had a chance to meet that person again, I would love to say: "Dear friend, aim for the highest you can imagine. You will fall, of course, it is part of the learning process. But, every time you get up, you will be a step further, you will be amazed with the new talents you discover within yourself, and the new environments you will be surrounded by. And I can promise you that you will be willing to fall as many times necessary to conquer those new horizons." I love the story and the lesson, Tulia. Thanks for posting. What a beautiful story, Tuuuuu. I love it. I'm here in the process of kind of skiing myself, and I fall and get up every day. Obrigada, querida. Ana querida, it was an amazing experience, honestly. How is Dublin treating you??? ?